Home › Home and Kitchen › Cocktail Parasols 100 Pcs Of Luxury Designed Cocktail Umbrella Picks Bar & Pa.. 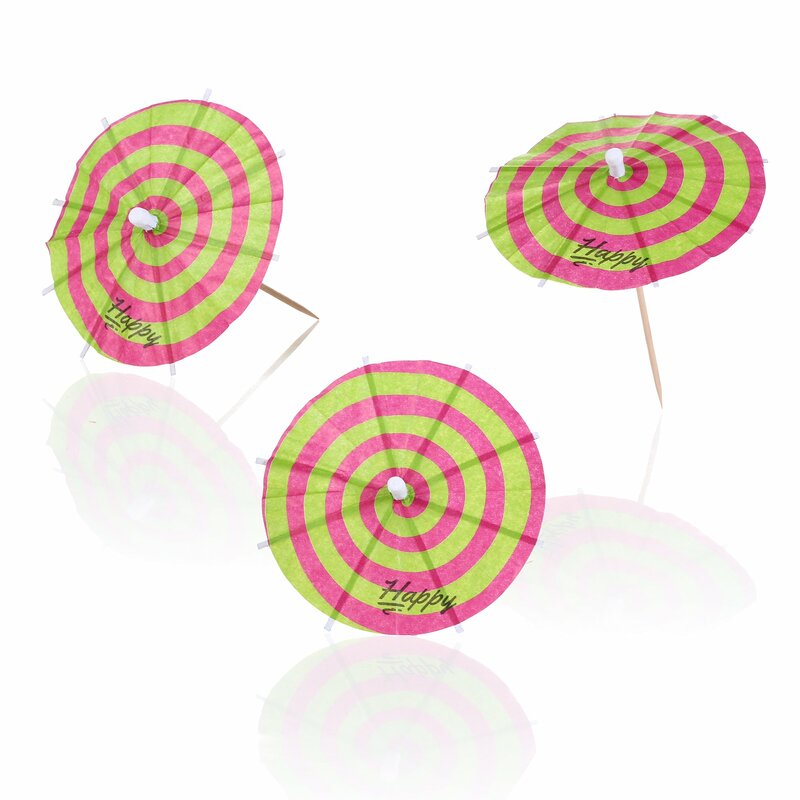 Cocktail Umbrellas Bulk package of 100 pcs The perfect decoration to any partyLuxury high quality cocktail parasols with beautiful colors combination andeye catching design. A great addition to any party, instantly give yourserving luxury touch. Perfect as cupcake toppers and as decoration forCocktail, appetizer and dessert. We Invite you to Add to Cart now and enjoyyour new party experience.